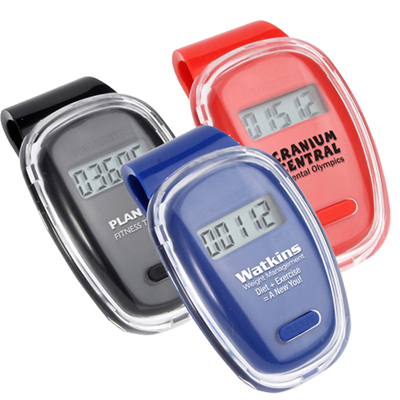 These are multifunctional pedometers with a stylish clear casing. 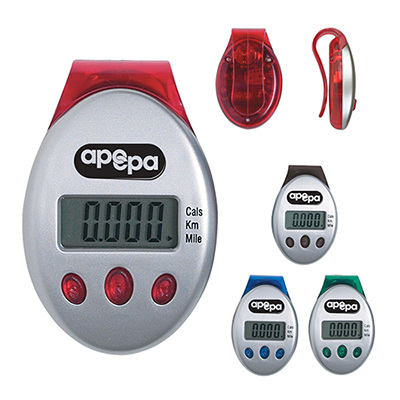 With your pedometer promotional items you can make your brand famous in the market. Printed Round Step Pedometer carrying your logo and business name can make your customers happy and this gives your brand a boosting image in the wider market. With these promo products your brand will eventually grow and customers will remain loyal to you. "This pedometer was well appreciated by all my clients! " "Now my clients can stay fit and remember my brand at the same time. Quality pedometer. " Take a right step ahead towards brand building!